FIRE Prod: This service will be unavailable from approximately 6 p.m. Eastern time on Wednesday, December 6, 2018, until approximately 8 a.m. Eastern time on Monday, January 10, 2019, due to planned maintenance. We apologize for any inconvenience. FIRE TPT: This service will be unavailable from approximately 6 p.m. Eastern time on Wednesday, December 6, 2018, until approximately 8 a.m. Eastern time on Wednesday, January 2, 2019, due to planned maintenance. We apologize for any inconvenience. 2. 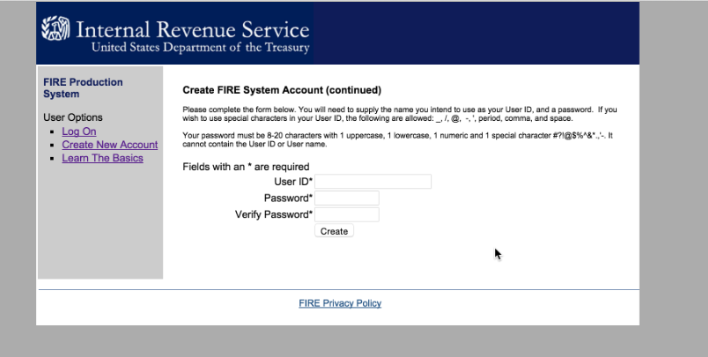 Create a FIRE system account. 3. Create a password for that account. 4. Go to the Main Menu on the lefthand side of the page. 5. 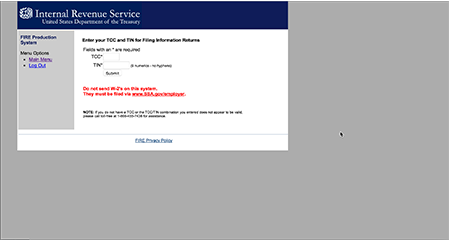 Log into Carta to reference your Tax ID number and TCC. 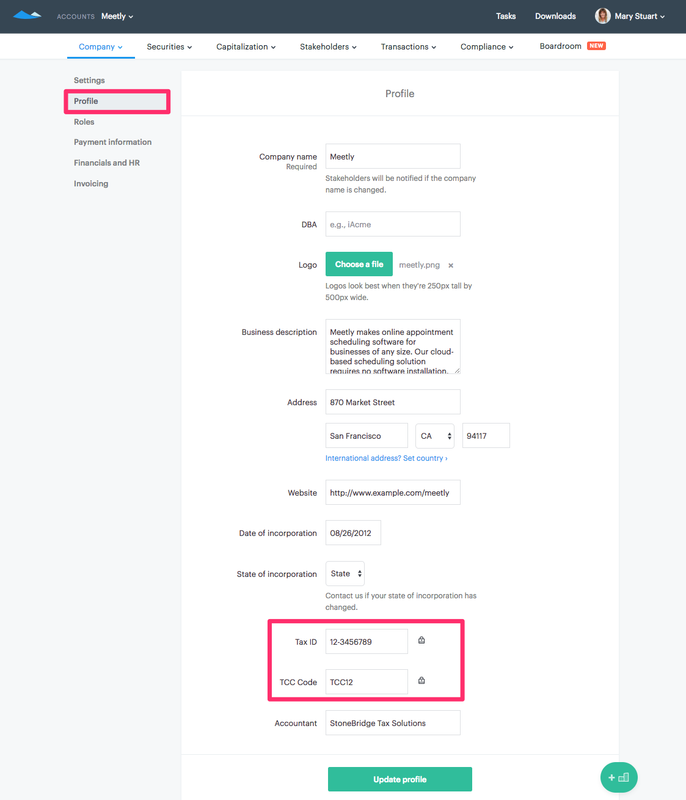 Go to 'Account' under Company and over to 'Profile. 6. 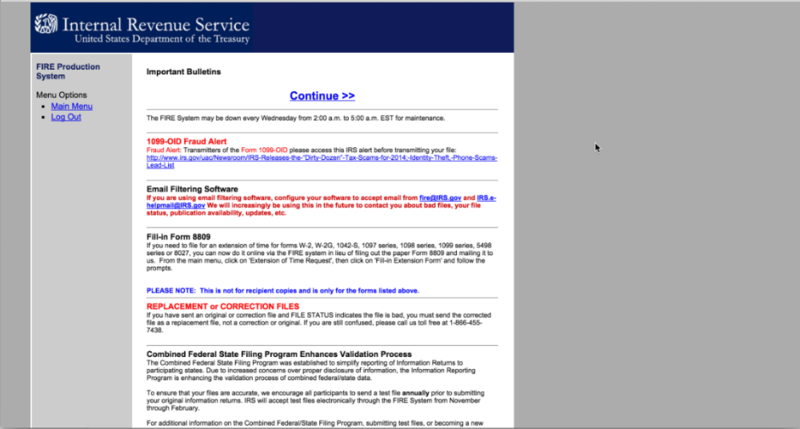 Enter your TCC and Tax ID number to access the IRS website. 7. Enter in your company's contact info. 8. Click original file on the lefthand sidebar menu. 9. Enter the Pin you generated when you first created a Fire account. 10. 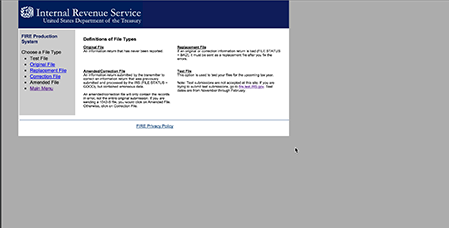 Upload the electronic 3921 file Carta provided you. 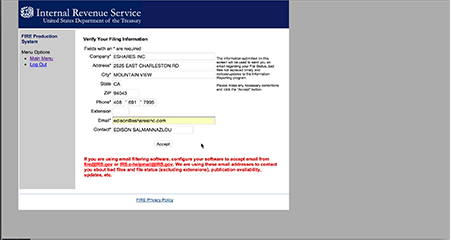 Does my company need to file Form 3921 with the IRS?